Those people who absolutely, positively don’t want to upgrade to Windows 10 may want to check out a new, free app that promises to “disable Windows' insistence upon upgrading Windows 7 or 8.1 to Windows 10." 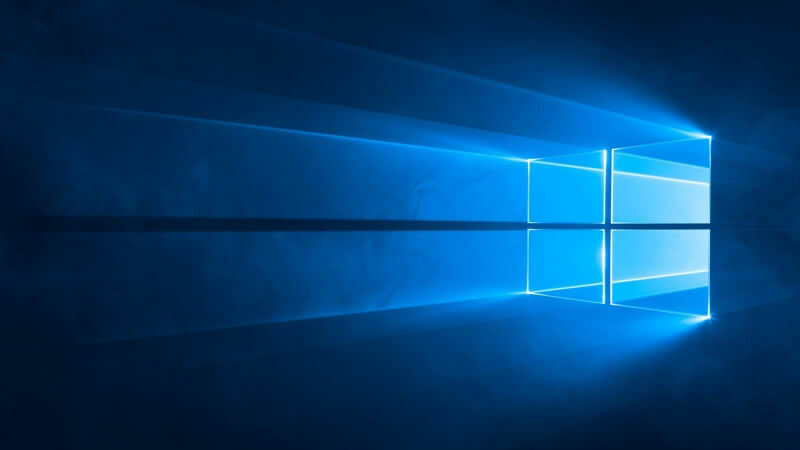 There have been reports of Windows 7 and 8.1 users finding that their PCs have automatically downloaded Windows 10 without their explicit permission. The new utility, called Gibson’s Never10, adjusts a PC’s settings so any attempts by the system to automatically download Windows 10 are blocked. "The elegance of this "Never 10' utility is that it does not install ANY software of its own. It simply and quickly performs the required system editing for its user," says Gibson. "Using this utility, inexperienced users will be able to easily use Never10 themselves, while advanced users will likely appreciate that fact that no additional software is installed and will be able to refer friends and family, whom they support, to this easy-to-use utility." There are ways to manually block the Windows 10 update that involve editing the registry, but this is something a lot of less tech-savvy users aren’t comfortable doing. Anyone who uses Never10 but decides at a later date that they want to move to Windows 10 can easily disable the program. Microsoft is still offering the free upgrade up until the end of July. Windows 10 is universally regarded as Microsoft’s best operating system in years, but questions still remain over the extent of its user monitoring features and intrusive ads. For those people who are happy with their older operating systems, Never10 may be a very useful piece of software. Microsoft is still doing this? I'm glad I switched to Ubuntu for my non-gaming computer usage. Gibson Research has always had some impressive utilities and this one is right in line with the tradition of great stuff! Just install Windows 10 and run SpyBot Anti-Beacon. Unless you have certain programs that do not work with Windows 10 there is no reason not to update. Except the update often breaking PCs requiring going through a long process of formatting and re-installing everything. Nevermind some of us don't want the hassle when we have a fully working PC. With Microsoft, when it's free, YOU are the commodity! One of the last updates within the week or so was another push to install the "Get Windows 10" application. They do this every month unfortunately. A problem for me and the multiboot community is obviously you don't want or need 2 instances of Win10. It's a pain to have to keep checking for this crap on my 8.1 boot since I already have 10 installed elsewhere. Upgraded over 2 dozen PC's, 2 of my own...never had any issue. That isn't the point though.... Microsoft is trying to force everyone to go to 10. It doesn't matter if it is good or not, trying to force people and constantly pestering them is wrong. If it asked you ONCE to upgrade, and there was a "No thanks" option and then it never bothered you again that would be fine, but it doesn't. They intentionally made it almost impossible for anyone except a pissed off tech to disable their "offering". Then even if you are successful at turning it off, the next Windows update will break that and start sending you the offer again! It is this pompous attitude that pisses everyone off. And look, I'm not a Windows "hater". In fact I prefer Windows (XP or 7). But this stuff has pissed me off so much that I switched to Linux on my home computer. I don't love Linux either, but it doesn't constantly harass me so I prefer to muddle through trying to customize and install software that I want over Windows "upgrade offers" and Windows 10 spyware. Beware of double standards. This website and most others are also free because YOU are the commodity. The comments here sure are a lot more positive than what I read on Neowin, where they were bashing this program and calling this guy every insult you can think of. I don't know why I still go to that site, it has gone from being simple Microsoft fanboys to an absolute cult. Anyway I tried the program and it works fine and does what it says. I like that you don't have to install anything. Also, welcome to the internet, where you are the product practically everywhere you go. Including this very website where you just posted your comment on. Really? I can't believe it!!! I've only upgraded 4 and have had a number of issues! 1) System reserved partition in Windows 7 is too small. Win10 spat me out. Resized it! Windows 10 wouldn't use the already downloaded files - had to download them all again. 2) Windows 10 turns off System Restore when you upgrade. Had a problem with some settings - couldn't get to any system restore points because it was off! Only thing was to go back to Windows 7 - thank you Microsoft at least for allowing that! But yes you guessed it - had to download everything again! 3) Windows 10 deletes programs like CPU-Z that it doesn't like. Some of my utilities just erased - without permission! 4) Windows 10 utilities like File Explorer so cluttered it's unbelievable. No customization without removing dozens of keys from the registry! At least I can do that, but most would be too nervous. I agree that 'under the hood' it is better than 7 & 8, but the implementation and utilities are amazingly bad - especially after so much feedback! System partition is the same size on all Windows installs, about 100 MB. That's not a problem unless you manually changed it before upgrading (in that case, the fault lies squarely with you). Windows does not turn off system restore during the upgrade. That's complete nonsense. If fact, it does the very opposite, I keep system restore turned off and after upgrading both my laptop and my desktop (both of which updated with no issues at all, with only a couple drivers requiring a simple update) Windows 10 turned it back on, and I had to go there turn it off again. Windows 10 removes certain versions software that have incompatibilities with the OS, specially hardware monitoring ones. Why are you against that? What the hell do you expect to do with an executable that is not compatible with your OS, genius? You can simply go to the developer's site and download the newest versions which have been fixed to work with Windows 10. Finally, Explorer works fine. And there is less clutter than in Windows 7, since it uses a ribbon interface which means you can keep the ribbon tabs hidden unless you click them. You may personally not like how it looks for some reason, but that's entirely subjective and irrelevant to everyone else, and doesn't change the fact that it works perfectly as intended. Not only you're just jumping on the hate bandwagon, you're lying in a desperate attempt to do so. Try it with an older PC with a bunch of old PCI cards supporting rare but useful devices such as a SCSI slide scanner and an old wireless card. I go out of my way to make sure Windows installs on a single partition. I don't have any small partitions. I go out of my way to make sure Windows installs on a single partition. It's a little thing called "only 4 primary partitions allowed on one drive". I'm sorry but my machine would not update with a 100MB reserved partition. I did read something that it might be because I had a large number of fonts installed, but that was later: I had to manually enlarge it before Windows 10 would install! It is my experience - and prior to that the system reserved partition hadn't been touched since Windows 7 was installed. Also, all the machines I upgraded had System Restore on at the time of upgrading and it was off afterwards and needed to be manually turned on. Windows 10 removed software that it decided was incompatible - yet the problem was that it wasn't (incompatible) - the apps continued to work perfectly and still do! You dispute all my statements, yet that is what happened! Not trying to bash, or hate, just share experience. As per explorer, hiding the ribbon does nothing for the navigation panel which is much more cluttered until items are removed. I'm more complaining about the lack of customisation -- I can't (easily) decide for myself what I need and what I don't. Old peripherals can't and will not be supported forever. If that is the case, yes, stay on an older OS. Long process of formatting and reinstalling? Windows 10 installs in like 15 min. Which gives a good 45 min to install the rest of your programs. I invested in Cyberlink Powerdirector as I do quite a lot of short video clips with menus and titles. All was well until I installed Windows 10. Although Powerdirector is supposed to be compatible, it refuses to write to DVD under 10, and crashes rather too often for comfort. After several weeks consulting with Cyberlinks helpline, I gave up, reinstalled Windows 7 on a seperate partition, and installed Powerdirector on the new partition. All problems disappeared, and I can now edit and write video. I have also found that several photo editing programs have stopped working under Windows 10, and I suspect that the unwanted updates are causing more trouble than they are worth.